Provides train/test indices to split data in train/test sets. 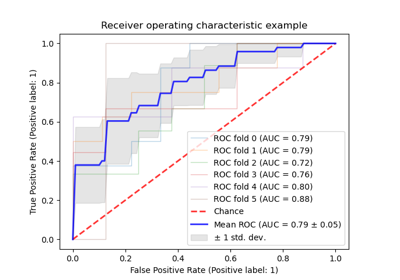 This cross-validation object is a variation of KFold that returns stratified folds. 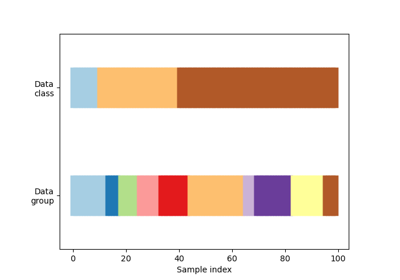 The folds are made by preserving the percentage of samples for each class. Number of folds. Must be at least 2. Changed in version 0.20: n_splits default value will change from 3 to 5 in v0.22. Whether to shuffle each class’s samples before splitting into batches. If int, random_state is the seed used by the random number generator; If RandomState instance, random_state is the random number generator; If None, the random number generator is the RandomState instance used by np.random. Used when shuffle == True. Repeats Stratified K-Fold n times. Train and test sizes may be different in each fold, with a difference of at most n_classes. 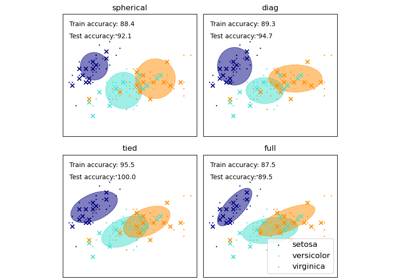 split(self, X, y[, groups]) Generate indices to split data into training and test set. Note that providing y is sufficient to generate the splits and hence np.zeros(n_samples) may be used as a placeholder for X instead of actual training data. 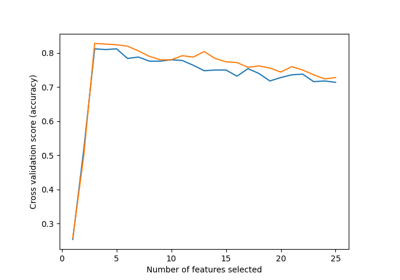 Randomized CV splitters may return different results for each call of split. You can make the results identical by setting random_state to an integer.